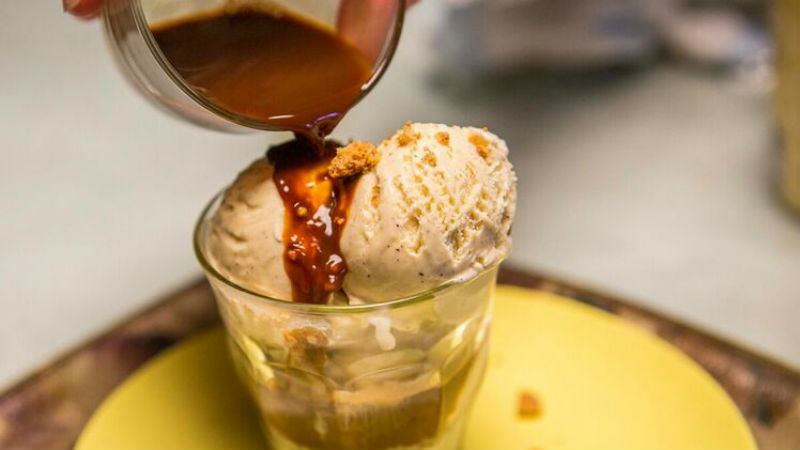 This affogato di café is a classic Italian dessert. An affogato (Italian, “drowned”) is a coffee-based dessert. Made with a scoop of vanilla gelato or ice cream topped with a shot of hot espresso. This easy Italian dessert is a must to serve at your next dinner party.